The Philippine Congress resumes its second regular session today. 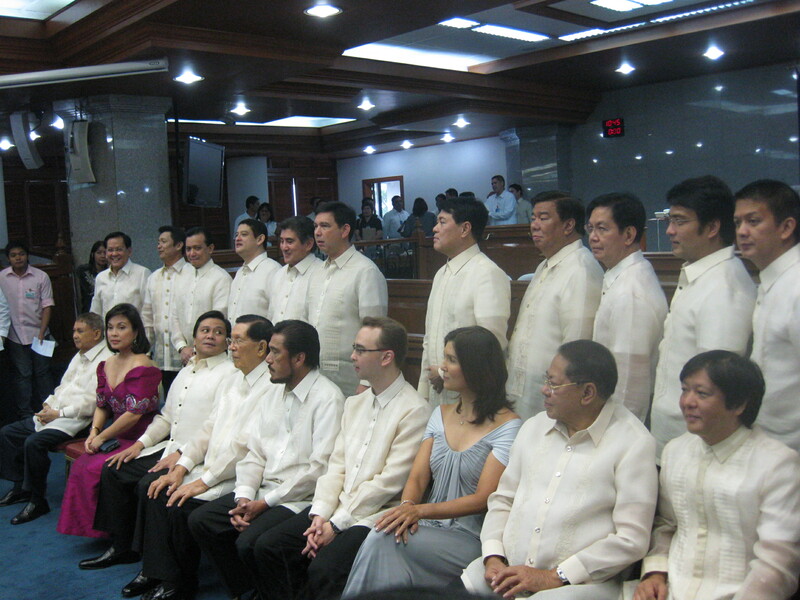 Senators pose for their annual group picture ahead of President Benigno Aquino Jr‘s delivery of his SONA at the House of Representatives. The male senators were in their Pina-made barongs, while two female senators showed of their figures and some flesh (bared backs) in “recycled” gowns made by Filipino designers. 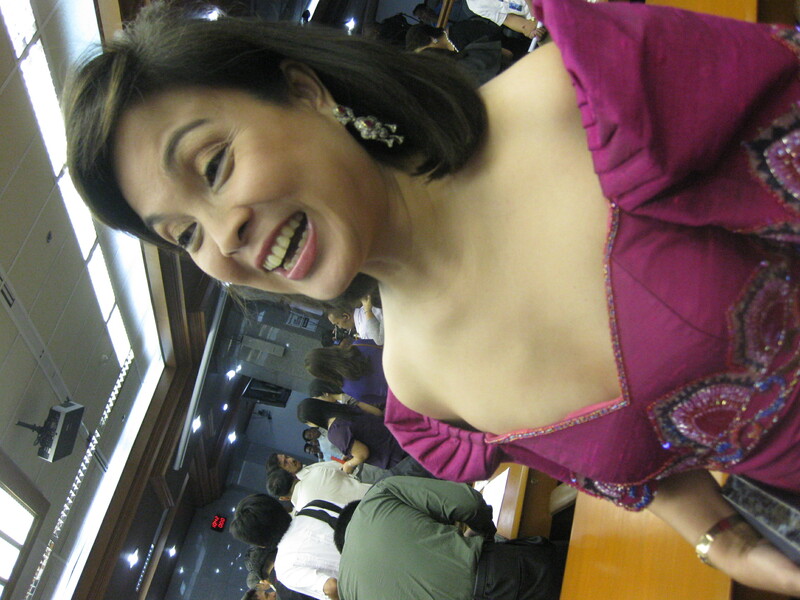 Sen. Loren Legarda wore a creation by Paul Cabral at the SONA at the House of Representatives. The other photo shows her in a fuschia gown by local fashion designer Dennis Martin. 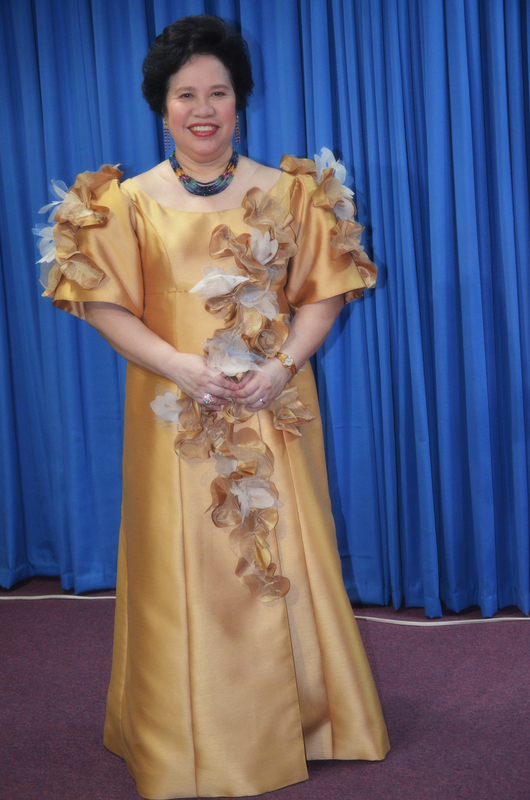 Feisty Sen. Miriam Defensor-Santiago did not attend the morning session at the Senate but she attended the President’s SONA, wearing a majestic gown in yellow-gold tone. 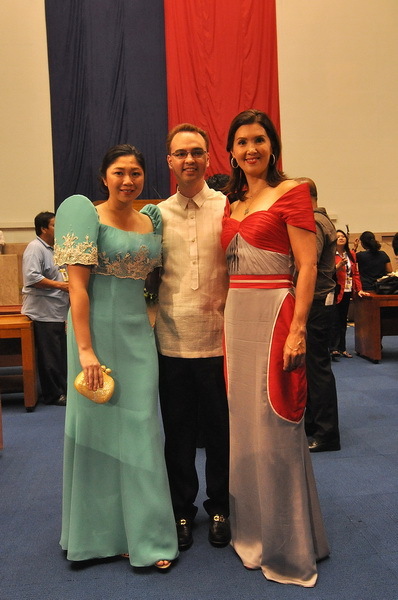 Minority leader Alan Cayetano wore a barong made of indigenous materials such as Pina and Water Lily. The senator’s wife, Taguig mayor Lani Cayetano, was dashing and simple in a celedon green gown with lace embroidery on sleeves and body. Both were creation by Paul Cabral. Sen. Pia Cayetano wore a modern take on the traditional panuela (off shoulder) in two tone oyster gray and silver jersey off gown with cascading soft ruffles at the back. At the SONA, she wore a silver gray Filipinianahighlighted by a red panuelo. This entry was posted in News, Uncategorized and tagged Benigno Aquino Jr, Filipino people, Loren Legarda, paul cabral creation, Philippine Congress, Pia Cayetano, sen. miriam defensor-santiago, State of the Nation Address. Bookmark the permalink.